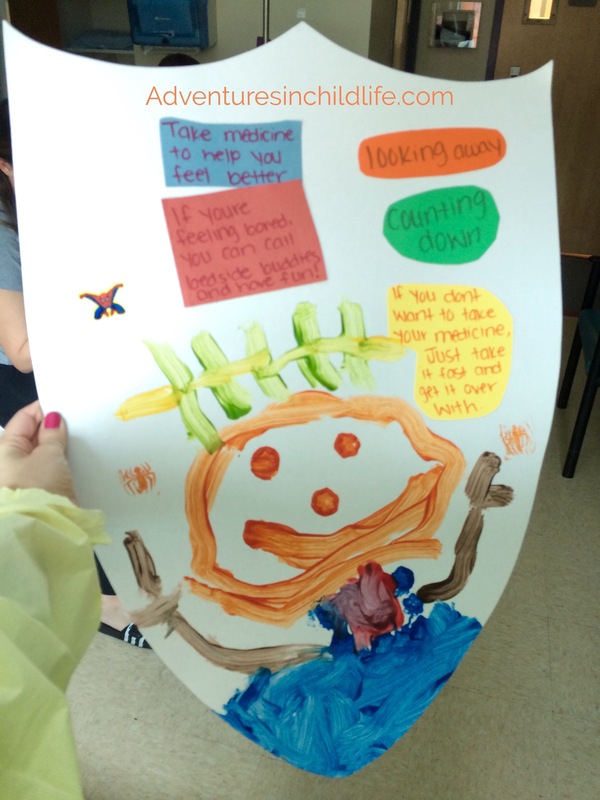 One of my younger patients was a little shy and nervous to be back in the hospital setting so we made a shield with tips to help him be brave. We had a lot of fun making this shield and of course, I learned so much more about him during the activity. I learned about his past hospital experiences, different ways he copes during procedures, and which procedures he has a difficult time with. He proudly hung up the shield on his bedroom wall and now had a visual reminder of his own tips on how to be brave.